You will now only be able to follow 400 accounts per day vs the previous limit of 1,000 per day. "I spent all day on Twitter and followed 975 people I really think will enhance my understanding of the world," said no one, ever. In reading his op-ed in the Washington Post, "Mark Zuckerberg: The Internet needs new rules. Let’s start in these four areas," I was struck by its similarities to Thomas Paine’s pamphlet "Common Sense." Both deserve to be read in their entirety. At long last, Apple (AAPL) on Monday announced its new TV streaming service, Apple TV+, which will become a destination for some of the best and most exciting streaming video content when it launches later this year. CCO Clear Channel Outdoor Holdings Inc.
21st Century Fox and Disney announced a new merger agreement Wednesday, increasing the value of the deal and adding a cash component. You know what they say, "A few billion here, a few billion there... after a while, it adds up to real money." Amazon is experimenting with a new delivery service intended to make more products available for free two-day delivery and relieve overcrowding in its warehouses. Puerto Rico needs our help right now. Here are links to a few charities I am supporting as well as links to three major charity watchdog groups. John Wanamaker famously said, “Half the money I spend on advertising is wasted; the trouble is, I don’t know which half.” This was absolutely true when he said it back in the late 1870s. It is not true today. President Trump’s unwillingness to stand up against racism, fascism, and white nationalism is unforgivable. Here's what to do about it. Uber goes before a U.S. judge on Wednesday to fight for the right to continue work on its self-driving car program, the latest phase in a courtroom battle over trade secrets that threatens to topple a central pillar of Uber's growth strategy. Description: Regular commentator for consumer electronics, tech and digital living and, I host a series of Hi-Tech specials and a monthly show entitled, Shelly Palmer Digital Living. 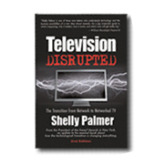 Description: Live Digital with Shelly Palmer is a weekly television show about living and working in a digital world. It is a co-production of NBC Universal, Inc. and Advanced Media Ventures Group LLC. Check your local listings. 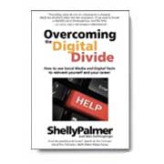 Visit www.shellypalmer.com for more information. Description: A daily radio report featuring news you can use about technology, media and entertainment. The report can be heard on stations all across America. It is co-produced by United Stations Radio Networks and Advanced Media Ventures Group LLC. Description: The goal of this book is to give you a way to think strategically about how life and work are changing. 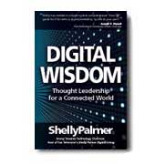 Now you are a citizen in a connected world, this books gives you tools to become a digital leader, ready to tackle the new and sometimes troubling realities of a life in which all we are, all we do, and everything we own is expressed as ones and zeros - data that must be understood, managed, and safeguarded. Description: Learn to think like a digital native. Use Social Networks to build your personal brand. Take control of your online reputation. Create and control your online presence. What apps do you really need to run your personal life and business? Create your own email blasts and digital marketing tools. Harness the power of your digital calendar, email and contact management software.